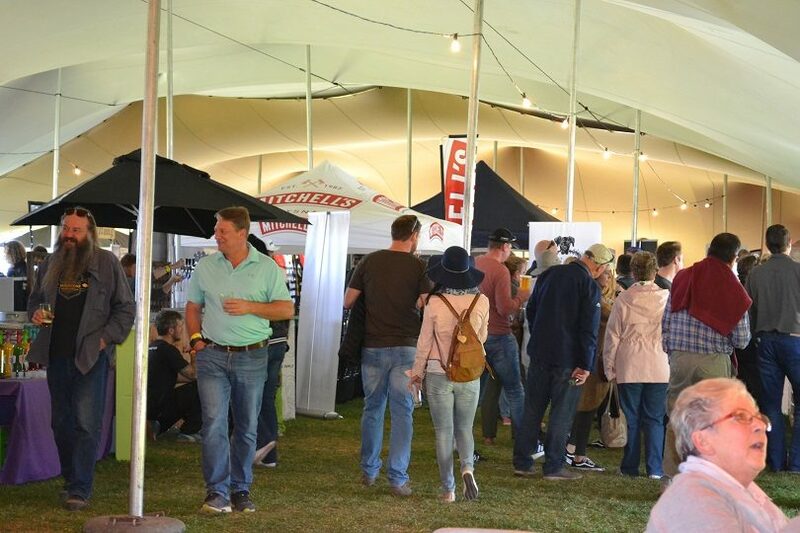 George – The 5th Thousand Sensations Fancourt craft liquor, food, and music festival, attended by 1 400 visitors, was held on a sunny spring day at Fancourt on 21 and 22 September. Words & Pictures by Tisha Steyn. 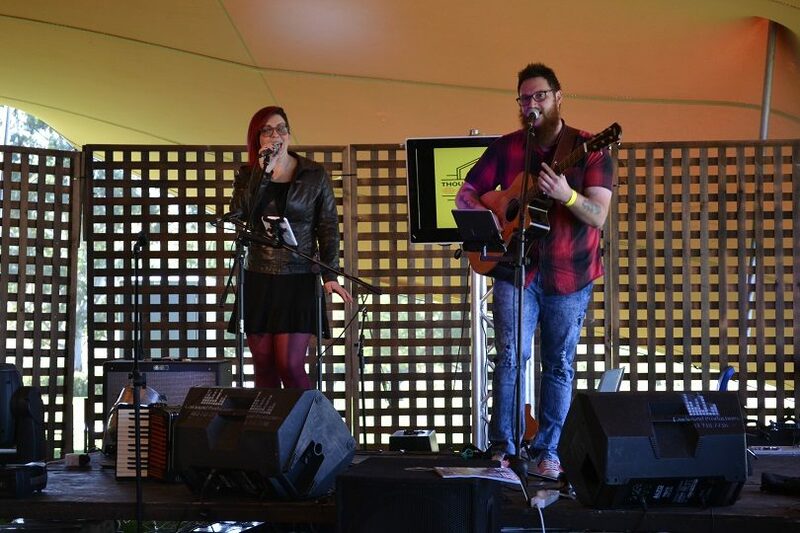 While musicians provided non-stop music, hundreds of visitors to the marquee tent set up at Fancourt enjoyed the lovingly produced alcoholic beverages of 26 craft beer breweries, 7 craft liquor distillers, 4 wine cellars and 12 food and soft drink stalls. Besides beer, gin and rum, vodka, whiskey, brandy, and liqueur were on offer. Ampie Kruger of Wild Clover Breweries near Stellenbosch is one of the pioneers of craft brewing. He spent years in the corporate world before deciding to start brewing craft beer on a small scale. “Initially I brewed about 300 litres in a batch, but at present, we brewing 2 000 litres in one go, and have 15 full-time employees. He also brews craft beer for others, such as golfer Louis Oosthuizen’s Louis57, and Khanyi Pupuma’s Ekhaya Brewery. “During the mid-2000s there were only a few craft brewers, among them the well-known and much-loved Mitchells in Knysna. 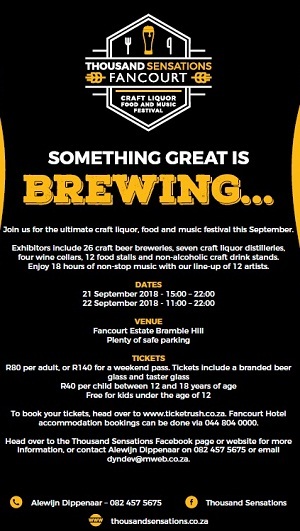 In 2012 the industry exploded and the number of craft brewers grew from about 20 to more than 200 countrywide, of which most are based in the Western Cape. Ampie believes the brewers – who started out as beer drinkers – became bored with mass-produced beer, and started to experiment with brewing their own craft beer. 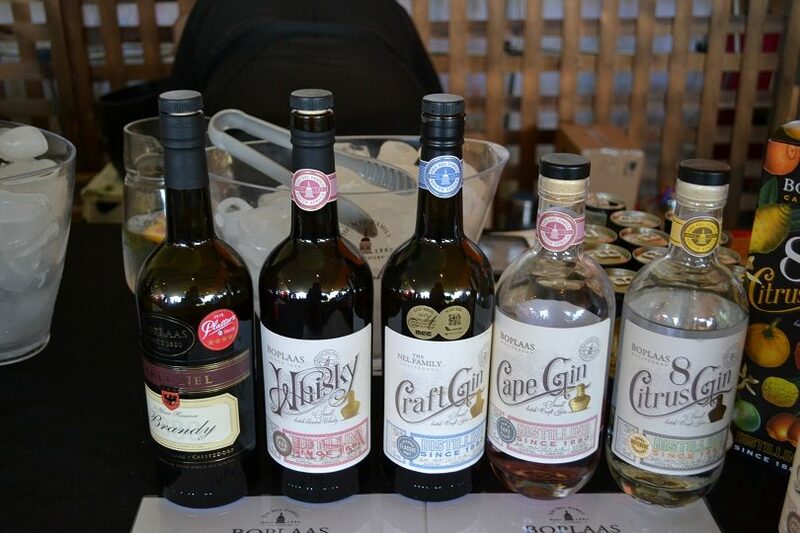 Eventually, distilled products, such as gin and rum, followed, and he believes it is literally a matter of time before brandy and whiskey – which has to mature in a cask for about three years to earn the label – will also eventually add to the range of exiting craft liquors. Contact Alewijn Dippenaar at 082 457 5675 or dyndev@mweb.co.za for more information, or visit the website www.thousandsensations.co.z or facebook Thousand Sensations. Caption: Alewijn Dippenaar of Thousand Sensations and Mimi Finestone of INTERFACE by goji masterminded the event.